Dirk Lehmhus, Thorsten Wuest, Stefan Wellsandt, Stefan Bosse, Toshiya Kaihara, Klaus-Dieter Thoben, Matthias Busse, Cloud-Based Automated Design and Additive Manufacturing: A Usage Data-Enabled Paradigm Shift, Sensors (MDPI), 15 (12), pp. 32079-32122, 2015, DOI:10.3390/s151229905. Integration of sensors into various kinds of products and machines provides access to in-depth usage information as basis for product optimization. Presently, this large potential for more user-friendly and efficient products is not being realized because (a) sensor integration and thus usage information is not available on a large scale and (b) product optimization requires considerable efforts in terms of manpower and adaptation of production equipment. However, with the advent of cloud-based services and highly flexible additive manufacturing techniques, these obstacles are currently crumbling away at rapid pace. The present study explores the state of the art in gathering and evaluating product usage and life cycle data, additive manufacturing and sensor integration, automated design and cloud-based services in manufacturing. By joining and extrapolating development trends in these areas, it delimits the foundations of a manufacturing concept that will allow continuous and economically viable product optimization on a general, user group or individual user level. This projection is checked against three different application scenarios, each of which stresses different aspects of the underlying holistic concept. The following discussion identifies critical issues and research needs by adopting the relevant stakeholder perspectives. Stefan Bosse, Design and Simulation of Material-Integrated Distributed Sensor Processing with a Code-Based Agent Platform and Mobile Multi-Agent Systems, Sensors (MDPI), 15 (2), pp. 4513-4549, 2015, DOI:10.3390/s150204513. Multi-agent systems (MAS) can be used for decentralized and self-organizing data processing in a distributed system, like a resource-constrained sensor network, enabling distributed information extraction, for example, based on pattern recognition and self-organization, by decomposing complex tasks in simpler cooperative agents. Reliable MAS-based data processing approaches can aid the material-integration of structural-monitoring applications, with agent processing platforms scaled to the microchip level. The agent behavior, based on a dynamic activity-transition graph (ATG) model, is implemented with program code storing the control and the data state of an agent, which is novel. The program code can be modified by the agent itself using code morphing techniques and is capable of migrating in the network between nodes. The program code is a self-contained unit (a container) and embeds the agent data, the initialization instructions and the ATG behavior implementation. The microchip agent processing platform used for the execution of the agent code is a standalone multi-core stack machine with a zero-operand instruction format, leading to a small-sized agent program code, low system complexity and high system performance. The agent processing is token-queue-based, similar to Petri-nets. The agent platform can be implemented in software, too, offering compatibility at the operational and code level, supporting agent processing in strong heterogeneous networks. In this work, the agent platform embedded in a large-scale distributed sensor network is simulated at the architectural level by using agent-based simulation techniques. Stefan Bosse, Design and Simulation of a Low- Resource Processing Platform for Mobile Multi-Agent Systems in Distributed Heterogeneous Networks, Béatrice Duval, Herik, Jaap van den, Loiseau, Stephane, Filipe, Joaquim (Ed. 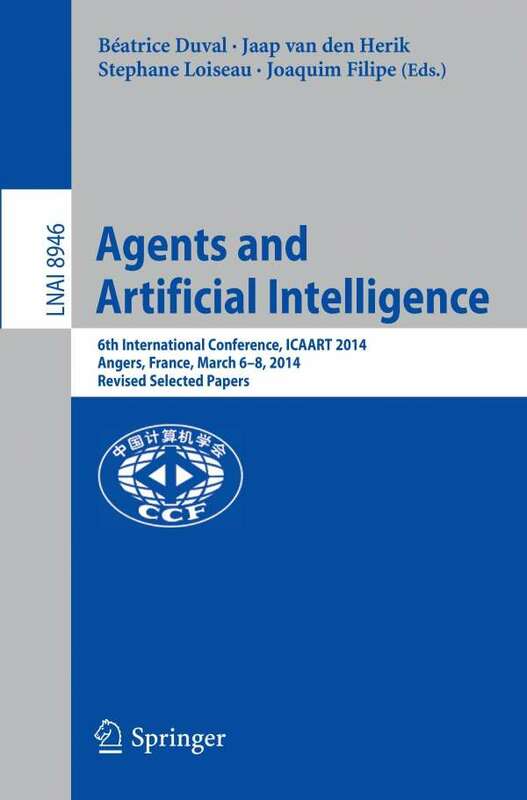 ): Agents and Artificial Intelligence (LNAI 8946), Springer, 2015, ISBN: 978-3-319-25209-4, DOI:10.1007/978-3-319-25210-0_5. The design and simulation of an agent processing platform suitable for distributed computing in heterogeneous sensor networks consisting of low- resource nodes is presented, providing a unique distributed programming model and enhanced robustness of the entire heterogeneous environment in the presence of node, sensor, link, data processing, and communication failures. In this work multi-agent systems with mobile activity-based agents are used for sensor data processing in unreliable mesh-like networks of nodes, consisting of a single microchip with limited low computational resources, which can be integrated in- to materials and technical structures. The agent behaviour, based on an activity- transition graph model, the interaction, and mobility can be efficiently integrated on the microchip using a configurable pipelined multi-process architecture based on the Petri-Net model and token-based processing. A new sub-state partitioning of activities simplifies and optimizes the processing platform significantly. Additionally, software implementations and simulation models with equal functional behaviour can be derived from the same program source. Hardware, software, and simulation platforms can be directly connected in heterogeneous networks. Agent interaction and communication is provided by a simple tuple-space data- base. A reconfiguration mechanism of the agent processing system offers activity graph changes at run-time. The suitability of the agent processing platform in large scale networks is demonstrated by using agent-based simulation of the plat- form architecture at process level with hundreds of nodes. Dirk Lehmhus, Stefan Bosse, Material-Integrated Intelligent Systems: A Review on State of the Art, Challenges and Trends, Proceedings of the 2nd Int. Electron. Conf. Sens. Appl., Nov 15, 2015 - Nov 30, 2015, MDPI, 2015, DOI:10.3390/ecsa-2-D002. As a concept, material-integrated intelligent systems represent the vision of embedding not only sensors, but full sensor networks in technical materials, irrespective of their application being dominated by functional or structural properties. In this sense, the term full sensor networks encompasses the sensors, the associated signal processing, the data evaluation and information retrieval, provisions for communication within the network and beyond it, and an energy supply system. The concept as such can be applied to any type or class of host material, ranging from organic materials to composites, metals and ceramics. The result are materials that are, in a manner of speaking, able to “feel” in the broader sense associated with this term. The present work discusses current approaches towards realizing material-integrated intelligent systems on hard- and software level as well as potential applications for such materials. It names the specific challenges associated with integration and suggests state of the art and future paths to address them. A special section is dedicated to the advent of additive manufacturing techniques adapted to facilitate sensor integration: The present growth in this field is expected to also extend into the realm of sensor-integrated materials and structures. Stefan Bosse, Agent-Based Solutions for Industrial Environments composed of Autonomous Mobile Agents, Modular Agent Platforms, and Tuple Spaces, Proceedings of the 2nd Int. Electron. Conf. Sens. Appl., Nov 15, 2015 - Nov 30, 2015, 2015, DOI:10.3390/ecsa-2-S5001. Design and Production processes become more and more complex. Today, industrial manufacturing environments consists of large-scale networks connecting smart sensors, embedded systems, server, desktop, and mobile computers. Mobile software Agents can be used in such strong heterogeneous environments with design, manufacturing, and logistics facilities. A unified agent model and a agent processing platform can overcome network and system barriers arising in such complex systems. The deployment of Industrial Agents can improve the scalability, productivity, and stability of modern adaptive and customized production processes, and aid the integration of sensor networks in cloud computing. This article shows the deployment and the relationship of industrial agents to industrial environments and common agent models, finally mapped on mobile program code executed by a low-resource and highly portable agent processing platform. Stefan Bosse, Unified Distributed Computing and Co-ordination in Pervasive/Ubiquitous Networks with Mobile Multi-Agent Systems using a Modular and Portable Agent Code Processing Platform, The 6th International Conference on Emerging Ubiquitous Systems and Pervasive Networks (EUSPN 2015), Procedia Computer Science, Berlin, Germany, 27-30.9.2015, 63, Procedia Computer Science, Elsevier, 2015, DOI:10.1016/j.procs.2015.08.312. Stefan Bosse, A Unified Distributed Computing Framework with Mobile Multi- Agent Systems and Virtual Machines for Large-Scale Applications: From the Internet-of-Things to Sensor Clouds, Annals of Computer Science and Information Systems Volume 6, Position Papers of the 2015 Federated Conference on Computer Science and Information Systems (FEDCSIS), Lodz, Poland, 13 - 16 Sep, 6, 2015, DOI:10.15439/2015F252. A novel and unified design approach for reliable distributed and parallel data processing in large scale networks consisting of high- and of low-resource nodes using mobile agents is introduced. This approach enables the development of sensor clouds of the future integrated in daily use computing environments and the Internet. Agents can mi- grate between different hardware and software platforms by migrating the program code of the agent, embedding the state and the data of an agent, too. Agent mobility crossing different execution platforms, agent interaction by using tuple-space databases, and agent code reconfiguration enable the design of reliable distributed sensor processing networks.